Ready to take the steps to create Your Ultimate Vision for 2019? Celebrate 2018 and remember the highlights. Explore the most important VALUES in your life right now. Determine your WORD OF THE YEAR for 2019. 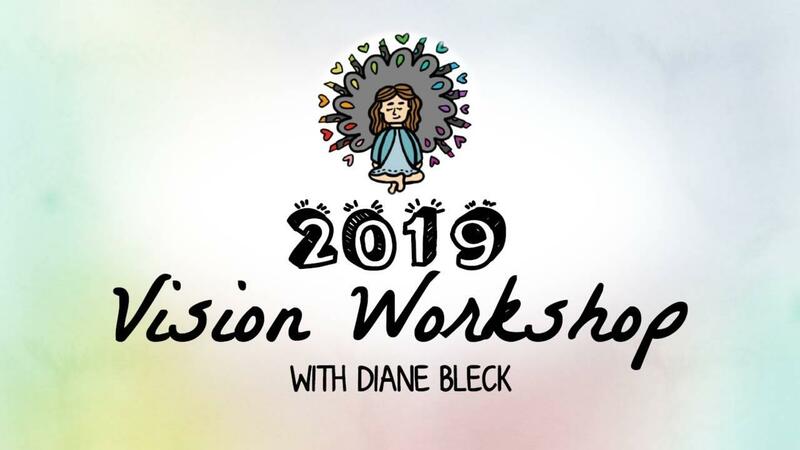 Discover a totally Fun & Creative way to DRAW OUT YOUR VISION for 2019. Understand why it’s important to CONNECT PEN TO PAPER to OPEN YOUR HEART CHANNEL. When you sign up, you'll get instant access to the Online Course with the Workbook & Diane's Video Overview.